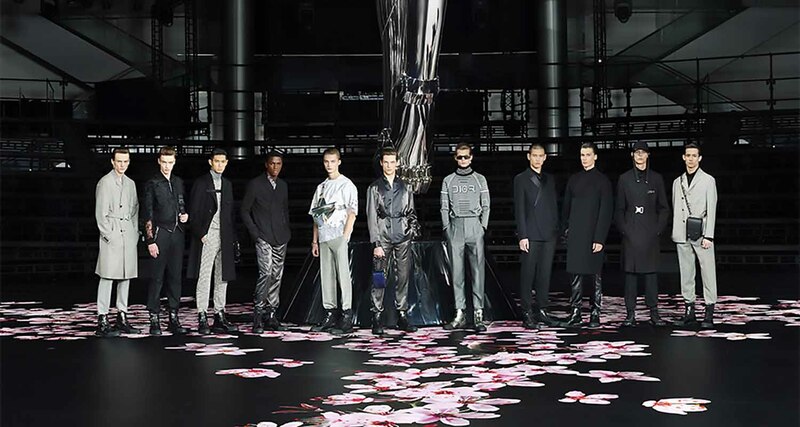 On November 30, 2018, Kim Jones unveiled Dior Home Pre-Fall 2019, his sophomore collection for the maison on a historic event – the first time ever that the venerable Paris fashion house debuted its menswear collection in Tokyo. A new landscape both steeped in tradition and constantly looking forward, the paradox of contemporary Japan mirrors that of an haute couture house in the twenty-first century, its inherent interplay of reverence and revolution. The House of Dior has a deep and meaningful history in Japan. Christian Dior was fascinated by the country, examining its culture of dress and utilizing this study to inspire his own work. His haute couture collections were consistently influenced by Asia in general but Japan most specifically. Wide sashes draped and knotted like an obi, garments subtly crossing and gently holding the body, the soft line of a seamless shoulder, draped like a kimono. All are delicate gestures drawn from traditional Japanese dress present in Christian Dior’s collections and reiterated throughout his career. Adding to these ageless imprimaturs of Dior’s style, Kim Jones draws on the hypermodern reality of Japanese culture today. Jones chooses to explore not the historical myth of Japan but its modern actuality, referencing both the country’s storied past and its often-imagined future. The collection is a symbiosis of the traditional and the new, emerging couture methodology with cutting-edge technology to create a fresh hybrid.